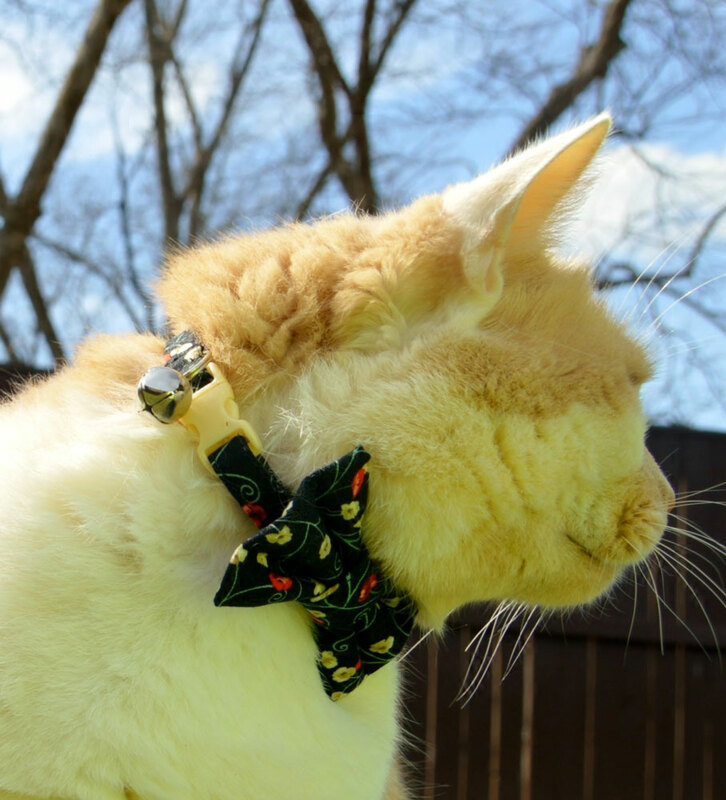 Jody Atkins must have a hundred different bow tie cat collars available in her Bella Loves Alex Etsy shop, and in her hundred-times-four product photos, it's the same 2 cats modeling all of them. Those poor bastards. 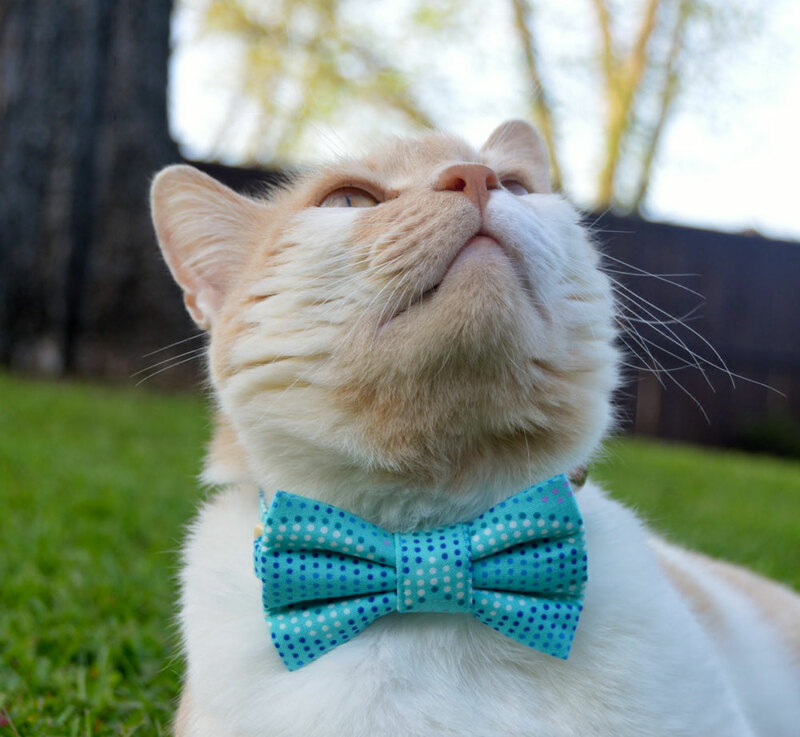 I don't know what kind of demeanor your cat has, but when I see a bow tie cat collar, a chunky hunk of fabric bulging out sideways underneath those cats' chins, the next thing I see is my cat Zanzibar stopping at nothing to tear it off and rip it to shreds. But they're very dapper! 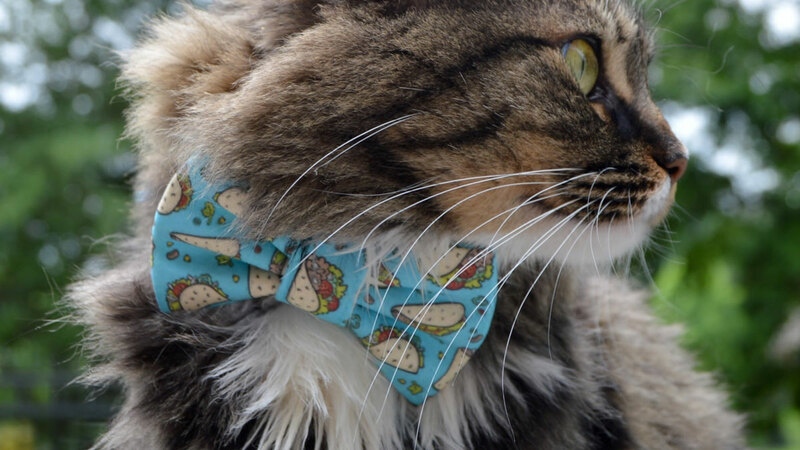 I like the taco bow tie the best. And I like that Atkins at least made what would normally just be kooky humans dressing up their cats into a functional piece of catwear. 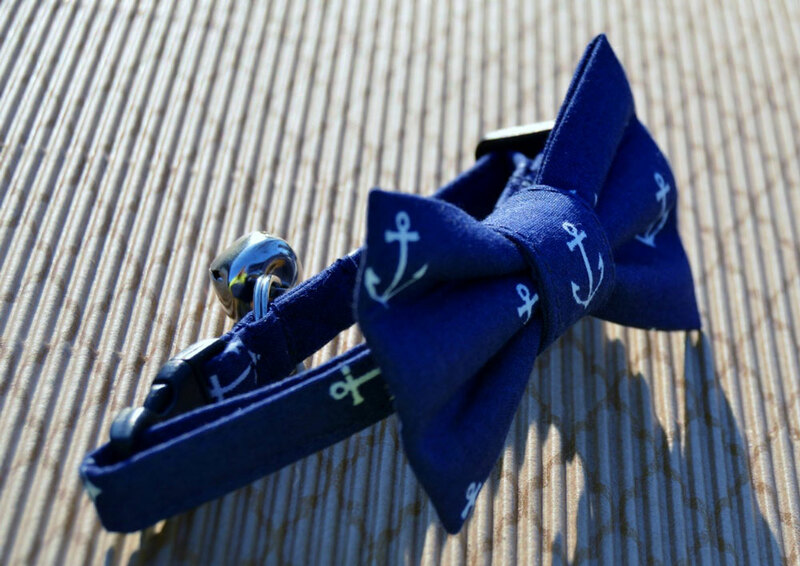 The bow ties are removable, and slip over a cat collar you might like your kitty to don anyway, especially if s/he's the outdoor-faring type. The collars also have a removable bell. 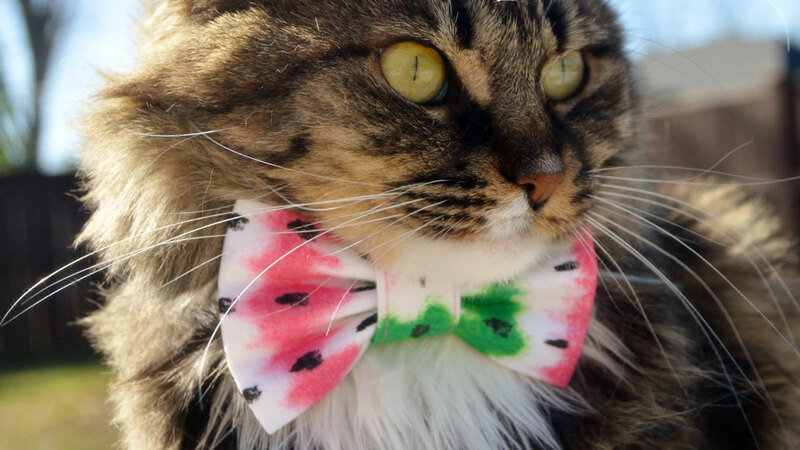 Both cat collars and cat bow ties are available in different sizes.